Miami opens its 39th varsity season on Oct. 8 at Providence, and for the first time since Enrico Blasi’s first campaign in 1999-2000, the RedHawks will play a pair of road games to open the season. NON-CONFERENCE FOES: Miami will play Providence, Ohio State, Maine, Bowling Green, Cornell. The Friars went 1-0-1 at Cady Arena to open last season, and Miami swept the Buckeyes and Falcons in a home-and-home series. MU did not play Cornell or Maine in 2015-16. LONG HOMESTAND: Miami plays five straight home games Oct. 15-29. The RedHawks host OSU in the first game and weekend series vs. Maine and BGSU. EXTENDED LAYOFF: Miami has typically taken several weeks off around the holidays, but this season it on has two consecutive weekends off, followed by a road game at OSU on New Year’s Eve. FOUR STRAIGHT ON THE ROAD TWICE: Miami plays four consecutive road series twice, including Jan. 13-21 when the RedHawks play back-to-back road weekends at North Dakota and Nebraska-Omaha. The first time Miami has a weekend off between series, facing Denver on Nov. 18-19 and Cornell on Dec. 2-3. BRUTAL FINAL EIGHT: Miami faces the top four teams in the conference from 2015-16 to wrap up its regular season schedule, capped off by a home series against defending national champion North Dakota. Following a weekend off, the RedHawks travel to St. Cloud State on Feb. 10-11, host Denver, face Minn.-Duluth on the road before taking on UND at Cady Arena. TOURNAMENT SITES: The NCHC Frozen Faceoff will be at the Target Center in Minneapolis for the fourth straight season. Cincinnati hosts the NCAA regionals for the third time in four years, but Miami hasn’t made the tournament the first two times it was held at U.S. Bank Area. It’s the 70th Frozen Four but the first to be played in Illinois. A link to Miami’s 2016-17 schedule can be found here. 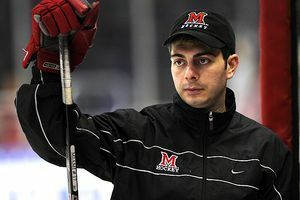 >MURedhawks.com has a nice video of Coach Blasi speaking to the Red & White Club about all things Miami Hockey. It’s very interesting and you can check it out at this link. – We already know that Miami will play teams like New Hampshire, St. Cloud State, and North Dakota in the coming years as Rico addressed this in my interview with him in August. There are a few more specific details about next years schedule though. 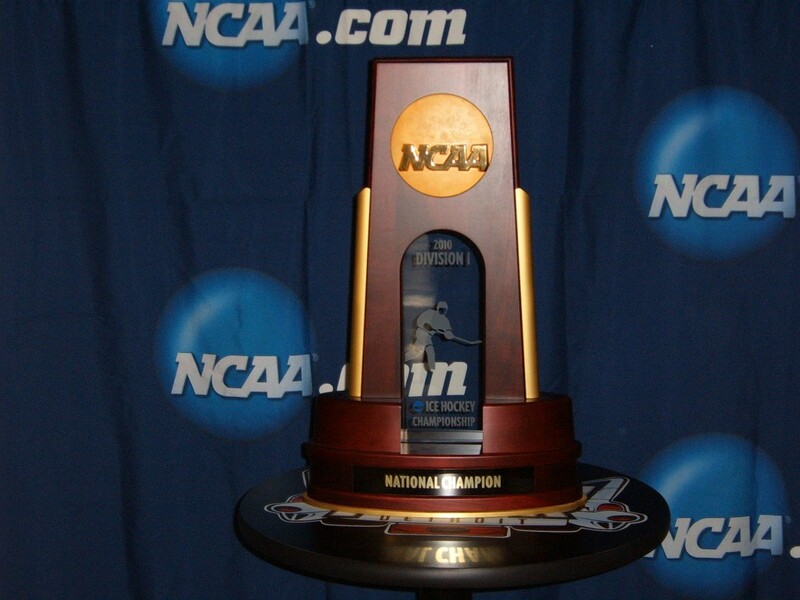 In 2009-2010 Miami will enter into a two year agreement with UNH, SCSU, and UND. Next season, Miami will go to New Hampshire and per the agreement, New Hampshire will come to Oxford in 2010-2011. St. Cloud State will come to Oxford next season, with the RedHawks making the trip to St. Cloud in 2010-2011. North Dakota will work the same way as New Hampshire…Miami will go to Grand Forks in 2009-2010, and the Fighting Sioux will come here in 2010-2011. – All Miami home games, with the exception of the exhibition tomorrow night against Ryerson, that aren’t televisied nationally will be broadcast on ONN. This includes games that Miami would play at home as a part of the CCHA playoffs in March. Blasi also mentioned that some of the games on ONN MAY be picked up by NHL Network. It’s been a week or two since the schedule was released, but since the blog was just “launched” today, here it is. All home games are in red, and begin at 7:35 on Friday nights, and 7:05 on Saturday nights, unless otherwise noted. The RedHawks are “clustered” with Michigan, Michigan State, and Ohio State this season.